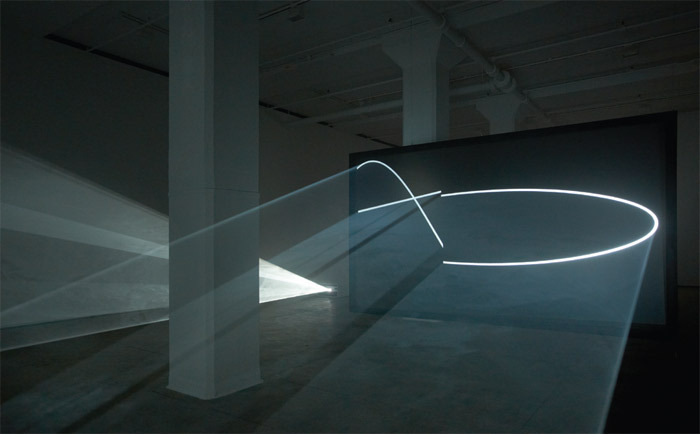 Anthony McCall, Face to Face, 2013, two projectors, two haze machines, two double-sided projection screens, dimensions variable. Appropriately enough, given the beautiful paradox of “solid light” with which he refers to them, Anthony McCall’s projections are often described as simultaneously embodying film, sculpture, and drawing. But McCall’s recent show “Face to Face,” which combined a physical intervention into the gallery space with his latest solid-light piece, suggested another mediumarchitectureas equally fundamental to his practice.